BEIJING – China's annual foreign exchange reserves fell for the third time in four years in 2018 as the yuan came under strong selling pressure from the cooling economy and escalating Sino-U.S. trade tensions. Depreciation pressure on the yuan is likely to persist this year as Beijing is expected to roll out more policy easing measures to reduce the risk of a sharper slowdown. China's foreign exchange reserves – the world's largest – fell by $67.24 billion last year to $3.073 trillion, central bank data showed on Monday. That compared with a $129.4 billion increase in 2017 to $3.14 trillion. In December, reserves rose by $11 billion, after a rise of $8.6 billion in November. The latest gain was slightly above forecasts of $8 billion by economists in a Reuters poll. The country's foreign exchange regulator attributed the increase to valuation effects due to the appreciation of non-dollar currencies and increases in prices of major countries' bonds held by China. Reserves are likely to remain generally stable in 2019, the State Administration of Foreign Exchange (SAFE) said in a statement. In a rare respite last year, the yuan rebounded 1.3 percent against the dollar in December as the greenback faltered and Washington and Beijing agreed to resume negotiations to end their bitter trade dispute. But the Chinese currency still fell 5.3 percent for 2018 as a whole, its fourth annual loss in five. Still, the risk of heavy capital outflows from the cooling economy seem to have been largely contained last year, thanks to timely interventions by authorities in currency markets, tougher capital controls adopted in the last downturn in 2014-2015, and a sudden shift in expectations for U.S. policy tightening. But even if the dollar falters as expected, the yuan faces the same key pressure points this year as last. 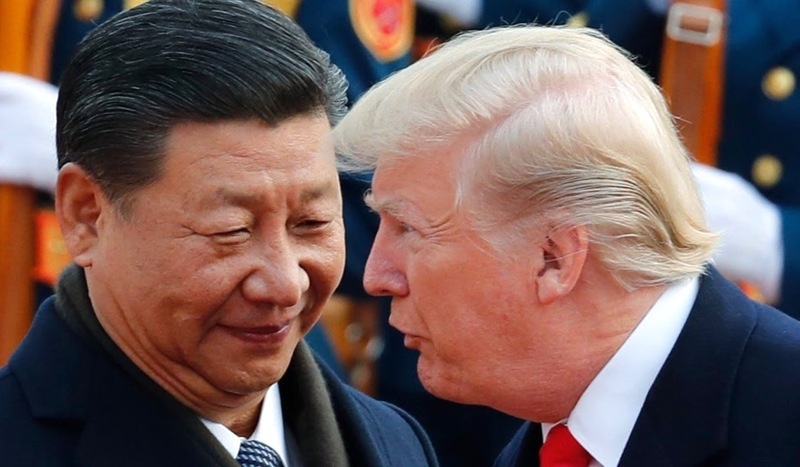 U.S. President Donald Trump has said talks toward a trade deal are progressing well, but it is unclear if Beijing will yield to key U.S. demands over trade imbalances, market access, and more protection for intellectual property. Failure could quickly reignite pressure on the yuan, as Trump has threatened to proceed with a sharp U.S. tariff hike on Chinese goods and Beijing is widely expected to retaliate. The trade dispute between the world's largest economies has already disrupted the flow of hundreds of billions of dollars worth of goods and stoked fears of a global economic slowdown. Even if a trade agreement is reached soon, analysts say it would be no panacea for China's economy, which is expected to continue decelerating in coming months. China's manufacturing activity contracted in December for the first time in more than two years and key credit gauges are hovering around record lows. On Friday, the central bank said it was cutting the amount of cash banks must hold in reserve for the fifth time in the past year, freeing up $116 billion for new lending. Chinese authorities have been attempting to reduce pressure on the yuan by pledging they will not resort to massive stimulus as they have in the past. But some analysts believe more aggressive easing measures such as rate cuts are possible if economic conditions deteriorate more rapidly. Policymakers may also have to contend with a significant structural shift in China's global capital flows, as its current account is swinging from a decades' long surplus to deficit, potentially making the yuan exchange rate more volatile. "The PBOC appears to have sold only a small amount of foreign exchange last month, suggesting that the renminbi has faced little downward pressure recently," Capital Economics said in a research note after the reserves data. "Pressure on the renminbi may return in the coming months, however, given that we expect China’s economic growth to weaken further and interest rates in China to fall further." The value of China's gold reserves rose to $76.331 billion from $72.122 billion at end-November. By volume, gold reserves rose to 59.560 million fine troy ounces at end-December, the first increase since October 2016.